By Ken Iglehart, with Micah Castelo and Rebecca Kirkman. G iven the usual cycle of economic booms and busts, we know this won’t last forever, so treasure the moment: It’s an employee’s job market out there, and companies looking to hire are increasingly upping the ante with better pay, benefits, and perks to get your attention. To arrive at our results, we ran an online poll on baltimoremagazine.com for several months to collect workplace nominations from employers and employees alike. Then the hard work began: four months of research into the benefits, office culture, and labor-relations history of each nominee. We also considered less tangible factors, such as dynamic leadership or the inherent gratification that some jobs offer simply because of the work they do, whether it’s curing sick children, designing the next NSA satellite, or helping the poor. And while many survey respondents enjoyed comprehensive benefits packages, the most valued workplace attributes were work-life balance and investment in career growth. 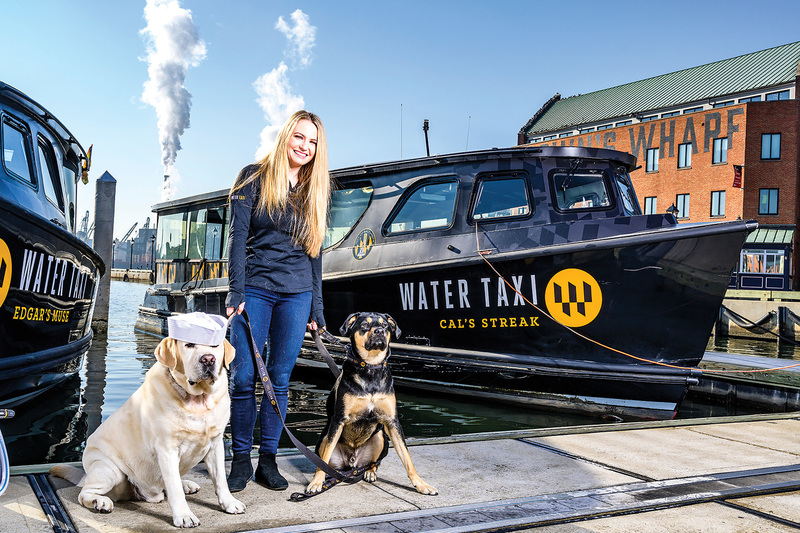 From the opportunity to work outside (Baltimore Water Taxi, Irvine Nature Center) to a focus on wellness (Mend Acupuncture, FX Studios) to just some really sweet digs (Westminster American Insurance, Balti Virtual), these local companies raise the bar by offering employees something extra. And when all that was checked out, there were a few more requirements: We wanted assurances of each finalist’s financial health, no sign of imminent mergers or acquisitions, and no recent record of layoffs. The best part? The winners had to be planning to hire in the next year. What they do: Virtual reality and augmented reality development. Why we like them: An internationally known jewel in Baltimore’s growing tech hub, Balti Virtual has cultivated an impressive roster of clients since launching in 2015, from Union Mills, Port Covington, and The Johns Hopkins University to PayPal, Hallmark, and Marvel. In 2016, the boundary-pushing augmented-reality team launched its first product, HoloTats, a temporary tattoo that comes to life when scanned with a free app. Best benefits: Located in Port Covington’s City Garage, this open office space has plenty of DIY touches, from chairs with rollerblade wheels and custom desks made at the Foundry makerspace next door to a University of Maryland, College Park wall mural that also announces itself when scanned with an app. Every new employee gets an expert mentor in their field, the team gets together over a delivered lunch every Friday, and there’s a selection of plants that keeps the workplace green. Need more? There’s also unlimited AR/VR from a comfy leather couch, free headphones, and an office “phone booth” for making private calls. Why we like them: The Orioles organization continues to evolve. New general manager Mike Elias and manager Brandon Hyde aim to rebuild the team on the field, while a new chief operating officer for business operations, John Vidalin, will focus on transparency, inclusivity, and diversity in the front office. In addition to Oriole Park at Camden Yards, the organization maintains year-round employees at Ed Smith Stadium in Sarasota, Florida. Best benefits: While many of its 800 seasonal employees consider working for a Major League Baseball team a benefit in itself, team members also get free meals for those required to work during games, early access to special events and promotions, and 401k matching and profit-sharing for those who qualify. The office in the restored B&O warehouse building offers views of the ballpark and the Inner Harbor and sits just 439 feet from home plate. And staffers can be the first on their block with a tan: Each year, many Baltimore-based employees travel to Sarasota for spring training. What they do: Plastic surgery, dermatology, cosmetology, ophthalmology, skin and laser, and wellness services. Why we like them: Walking into Belcara Health (formerly the Cosmetic Surgery Center of Maryland) feels more like walking into a five-star hotel than a medical center—and that sense of calm translates to the staff, who appreciate working in the high-tech facility with soothing interior design. Led by some of Baltimore’s own Top Doctor winners, this surgical and cosmetic center has achieved top certifications in its field and emphasizes continuing education for its staff. Best benefits: The staff enjoys access to a world-class medical team and discounts on procedures. Flexible scheduling allows the staff to achieve work-life balance. There’s also continuing education and certifications and generous PTO and family-leave policies. What employees like most, though, is leadership that values their opinions and regularly checks in to make sure they are professionally fulfilled. Good news: Baltimore’s employment market is growing. In the past year, hiring bumped up 1.8 percent, according to the U.S. Bureau of Labor Statistics. And the growth means companies are ramping up and trying to find their next great hire, says Joe Gonzales, regional vice president in Baltimore for staffing firm Robert Half. But what exactly are employers looking for? If you think they’re only paying top dollar for hard skills like advanced Excel expertise or data analytics, you’re only partly right. More companies are also hiring for soft skills, such as bilingualism and problem-solving abilities, Gonzales says. Interpersonal communication: The ability to talk and work efficiently with others in a team setting enhances workflow. 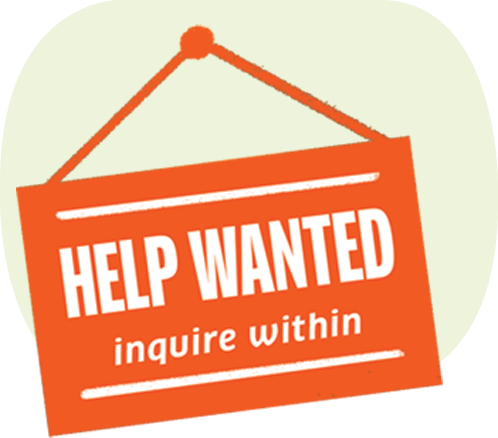 Problem solving: Employers are seeking workers who can bring fresh solutions to the table. Adaptability: Companies go through constant change, so being able to work in different environments and situations is a plus. Multilingualism: Employees who speak more than one language can help companies work with people from other cultures and grow their client base. What they do: Workplace wellness and employee-assistance programs. Why we like them: From humble beginnings (CEO Dawn Motovidlak purchased the company from her employer in 1999 when it had just three staffers), BHS has grown into a nationally known provider, serving clients such as JetBlue, the Baltimore Ravens, American Red Cross, and MedStar Health. Today, BHS has two locations in Maryland (Mt. Washington and White Marsh), plus teams in Louisiana and North Carolina. Best benefits: At BHS, leadership practices what they preach. The happiness of the BHS team stems from the company’s promise to treat its customers and its employees the same way. That includes a generous compensation and benefits package with health, dental, and vision insurance; work-from-home flexibility; family medical leave and parental leave; an employee-assistance program; and a heavy emphasis on continuing education that includes sending employees to conferences or seminars. What they do: Public relations and communications. Best benefits: The culture at C+W Communications was born when founder Quinn Collins was looking for work while pregnant with her first daughter. With her daughter along for the ride (often literally in the back seat while Collins met with clients and drove to news stations), she hustled to start her own company, one that embraced a new culture where work and life coexist. Today, the 100-percent remote team works wherever makes sense: camped out at coffee shops, from home offices, or embedded in their clients’ companies. In addition, employees get unlimited vacation and eight weeks of paid parental leave. Why we like them: Serving the Baltimore area for 35 years, this family-owned company continues to grow. A second location in Rockville allowed the firm to add Montgomery County to its service area, while its large Owings Mills office space has ample space to accommodate a growing team. The company hopes to fill a dozen more positions in the next year, including field technicians and office staff. 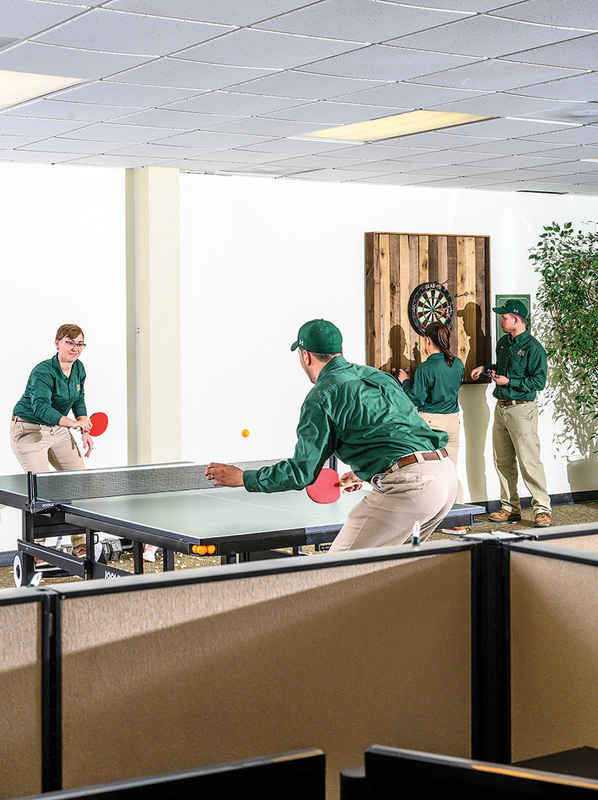 Best benefits: In-office video games, air hockey, and ping-pong tables mean it’s not uncommon for an impromptu tournament to break out during the day. In addition to a kitchen stocked with free coffee and sandwiches, employees love the gumball and popcorn machines for mid-day snacking. Bagel Wednesdays and doughnut Fridays give the staff another reason to be excited to get to work in the morning. The familial atmosphere comes with paid training, opportunities for continuing education, company vehicles for field technicians, and competitive salaries and bonuses. What they do: Nonprofit that connects job-seekers with careers in the social sector through a year-long fellowship. Why we like them: For more than five years, this innovative organization has worked to deploy human capital to tackle the city’s biggest challenges, and it’s expanding its three core programs: funding social entrepreneurs, connecting job seekers with social impact careers, and the fellowship. Today, a network of more than 100 Baltimore Corp alumni are working to improve their community at private, public, and nonprofit organizations throughout the city, from the mayor’s office and Code in the Schools to the T. Rowe Price Foundation. Best benefits: Employees here feel a sense of community throughout the team and from the inspirational leadership of co-founder and CEO Fagan Harris. 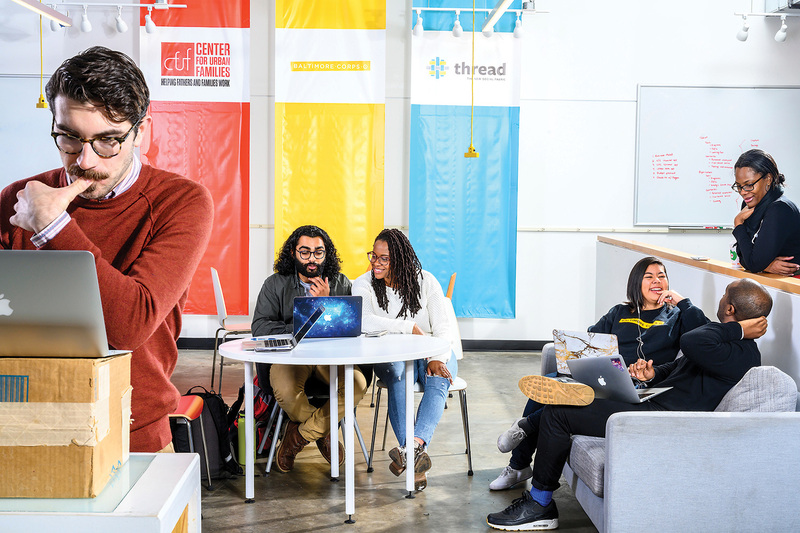 Located in TouchPoint Baltimore, a co-working space in Mondawmin Mall that Baltimore Corps shares with Thread and Center for Urban Families, employees describe it as “open, flexible, and collaborative.” Working from outside the office is encouraged. There’s also an emphasis on health, including a monthly “wellness” day for employees to take off and recharge, time for community service, and a stipend to spend on any wellness activities, be that yoga classes or a gym membership. What they do: Full-service digital marketing agency. Why we like them: Dreamscape Marketing’s leaders are all about doing whatever they can to make their clients and their employees happy. The company hit the ground running in 2005 (that’s pre-Instagram and Twitter), adapting to new marketing platforms and technologies, with an emphasis on health care, addiction-treatment centers, senior living, and small businesses. The result has been explosive growth, averaging 67 percent per year. Employees love the company’s investment in their careers, allowing rapid promotion and growth opportunities for hard workers. Dreamscape anticipates as much as doubling in size in 2019, so they will definitely be adding new members to the team. Best benefits: The Columbia office is both rustic and high-tech—sliding barn doors and desks made of reclaimed wood add character, while wireless capabilities, MacBook Pros, and all the needed gadgets help employees get things done. Employees enjoy 15 days of PTO up front (no accrual required) plus six work-from-home days each year, a “commuter schedule” that allows employees to arrive at work between 8 a.m. and 10 a.m. and work eight hours, 401k with 4 percent employer matching, and a year-end profit-sharing plan. There’s also a sweet office lounge offering vintage Nintendo games, Netflix access, and a leather couch where employees can be seen working on laptops with The Office playing on TV, a café stocked with coffee and snacks, and a gym next door. And they do love their office chairs—nearly every nomination entry mentioned the high-end, ergonomic office chairs gifted to employees in 2017. What they do: Fitness and wellness. Why we like them: Part spa, part salon, and part gym, FX Studios fosters a passion for fitness and wellness among its team members. Despite launching its flagship Hunt Valley location in 2005, the company maintains a start-up mentality with an energetic workforce of nearly 170 spread across its three locations. Its partnership with Under Armour began with designing the apparel company’s high-tech, 35,000-square-foot gym at its Tide Point headquarters and continued in 2016 with the opening of a 50,000-square-foot Under Armour Performance Center in the Bank of America building downtown. Best benefits: At FX Studios, business attire often means workout clothes. Being gym-ready makes a difference when you work at one of the most cutting-edge fitness facilities in the area. Employees are encouraged to get in a quick workout, relax with a massage, or get a haircut during work hours. In addition to free gym access and group fitness classes, employees get discounted rates on spa and salon services; medical, dental, and vision coverage; a 401k plan; and conference rooms and lounges stocked with comfy furniture and snacks. But the best benefit, employees say, is helping clients feel better about themselves. What they do: Architecture, planning, interiors, landscape architecture, and graphics. Why we like them: Since its founding in 1978, this firm has been shaping our community and those around the world. With specialties in education, workplaces, and residential and mixed-use spaces, Design Collective is behind developments including West Towson Elementary, Planit headquarters, and The Fitzgerald. A mid-sized, employee-owned firm with a range of expertise, Design Collective creates spaces where communities can live, work, and play. Best benefits: Headquartered in The Power Plant (one of its own projects), Design Collective’s offices overlook the Inner Harbor and boast abundant natural light and flexible work settings. An in-house library of finishes and a lighting lab allow employees to test product performance. Favorite perks include full medical deductible coverage and 90 percent premium payment; annual passes to the Maryland Zoo in Baltimore, National Aquarium (a client), and the Baltimore Science Center; 401k plan and ESOP contributions; eight paid holidays and two weeks of vacation starting the day of hire; a bonus after passing professional certifications; and Live Near Your Work home-buying incentive. What they do: Entertainment subscription box. Why we like them: A novel idea—murder mysteries that unfold through a monthly subscription box—has brought success to this Rosedale-based entertainment company with a satellite office in Seattle. Founded in 2016, Hunt A Killer secured $8 million in funding last fall, diversifying its offerings into true-crime podcasting, a new horror-mystery subscription called Empty Faces, and plans to add a science-fiction-themed subscription this year. The company aims to more than triple its active subscriptions by the end of 2019. And while Hunt A Killer profits off the popularity of true-crime entertainment, each box purchased helps resolve real-life unsolved murders through a partnership with the Cold Case Foundation. Best benefits: Whether they worked in order fulfillment or on the creative team, Hunt A Killer employees consistently mentioned the freedom and flexibility their jobs offer. Standing desks, yoga ball chairs, free lunch Wednesdays, and mimosa “First Fridays” keep team members comfortable and happy, while unlimited PTO and the ability to work from home gives them sought-after work-life balance. Extra benefits include 100-percent paid health and dental premiums, 401k, and a casual dress code. What they do: Private, nonprofit nature preserve and environmental education center. Why we like them: Part of more than 800 public-school programs each year, Irvine Nature Center is one of a kind. Last summer saw the opening of the Bauer Preserve, which added 93 acres to the center’s footprint. As part of its strategic plan, the center will continue to expand its educational programs in the year ahead to reach more children and adults. That means adding to its team of environmental educators. Best benefits: When you work at a 210-acre nature conservancy, employee enrichment programs come in the form of things such as raptor training—that is, learning how to work with the center’s aviary of birds—and holding meetings outside in the meadow or around the fire pit. Employees say being surrounded by nature at work is one of the biggest benefits. Employees appreciate having a nature preschool on-site for their children, miles of trails for hiking and running, the ability to interact with the center’s more than 70 animals (including a bearded dragon and hedgehog), and a community-focused culture. What they do: Restaurants and wine stores. Why we like them: With eight properties throughout the greater Baltimore area, this partnership between chef Cindy Wolf and restaurateur and wine director Tony Foreman is known for killer wine lists, impeccable service, and skilled cuisine. Despite operating its first restaurant, Charleston, for more than 21 years, Foreman Wolf feels anything but stale by bringing new concepts to market, such as Bar Vazquez (formerly Pazo) in 2016 and Lupa (formerly Petit Louis Columbia) in 2018. Most of all, its founders have developed a culture that feels more like a family than a workplace—a family of more than 300, that is. 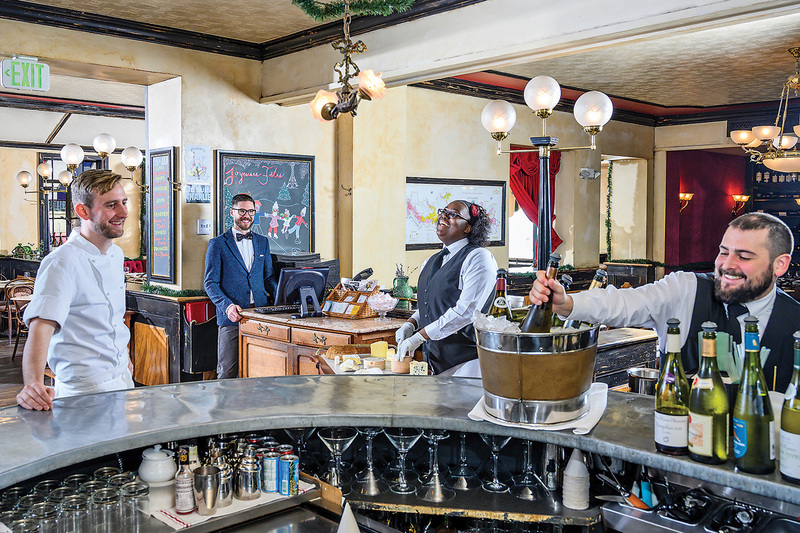 Best benefits: Employees get discounts on dining and wine; excellent benefits for the food service industry, including health and dental insurance; and a fun, chummy atmosphere. Servers appreciate the opportunity to earn great tips and the flexibility to create their own schedules. What they do: Commercial construction and project management. Why we like them: Operating for more than 20 years, this firm counts the Baltimore area’s top hospitals and higher-education centers as its clients, creating specialty environments such as high-tech labs at The Johns Hopkins University and ADA-accessible installations at Towson University’s century-old dining and residence hall. Best benefits: Founder Jeff Brown once worked in an office without natural light, so he made sure every one of his employees at JBC has offices that can catch some rays. Employees say management takes seriously their satisfaction in the workplace, illustrated through quarterly team outings (from pool tournaments and crab feasts to chili cook-offs and even a pirate cruise). Purple and orange Fridays are often observed with a parking-lot tailgate complete with games of Can-Jam, while personal and professional accomplishments are celebrated with team lunches. The benefits package includes health insurance, 401k matching, short- and long-term disability, and life insurance. A familial atmosphere underlies it all: “Aside from my own family, I’ve never seen anything like it,” wrote one nominator. Why we like them: An anchor institution in Baltimore City for more than 140 years, The Johns Hopkins University is fresh off a historic $1.8-billion donation from alumnus Michael Bloomberg that will allow it to offer full scholarships to undergrad students facing financial hardships for the foreseeable future. A mission-driven organization focused on teaching, research, and clinical care that is deeply rooted in the surrounding community, the university’s new Stavros Niarchos Foundation Agora Institute—established in 2017 and yet to be constructed—will focus on improving civic engagement and public discourse, improving the university’s relationship with Baltimore and the wider community. Best benefits: JHU’s award-winning benefits package includes tuition remission and reimbursement; parental leave; at least three days of professional development each year, with access to a wide catalog of online courses; assistance buying a home through the Live Near Your Work program; commuter benefits; dependent care and adoption assistance; and special programs for employees undergoing cancer treatment. Since graduating from college in 2013, Stephani Peterson has worked at five different companies, having never reached the average 4.2 years employees typically spend with a single employer before moving on to another job. But Peterson’s not ashamed of her job-hopping ways. The 27-year-old says it helped her land a career she loves—working as a senior manager at Career in Nonprofits, a staffing firm that matches job candidates with nonprofit organizations in Washington, D.C., Chicago, and San Francisco. While millennials aren’t necessarily changing jobs more often than previous generations, the younger members of their ranks today are more likely to have shorter employee tenures—all thanks to low unemployment rates and a healthier economy than we had five or 10 years ago. For Peterson, moving through numerous employers and job titles allowed her to climb the corporate ladder much more quickly than staying in one job and waiting for a promotion. 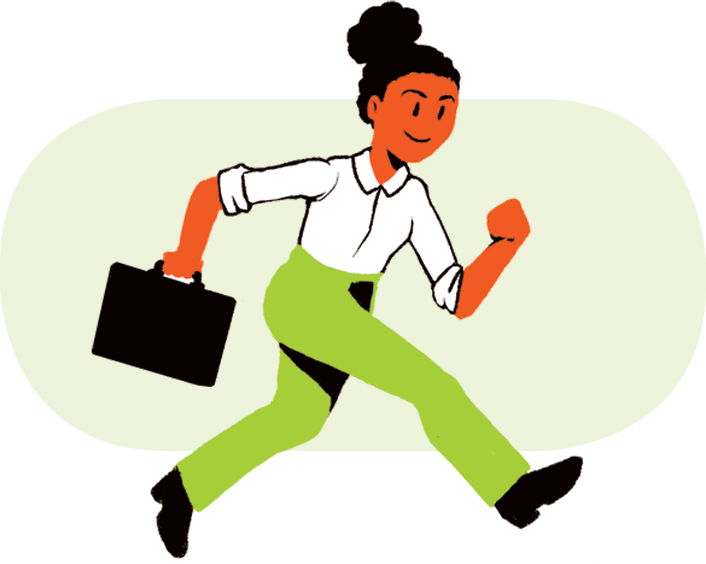 That’s because, as she rode the waves of change, Peterson picked up new skills and experiences that made her more marketable to other employers. She started off as an after-school coordinator for a South Baltimore academy, then moved on to work as a graduate residence coordinator and interim career specialist at Notre Dame of Maryland University. What followed was a slew of other jobs—from developing marketing strategies for a nonprofit to managing day-of-event operations for a catering service. Plus, after taking a higher-level position last year, she was able to secure a hefty salary increase. In fact, payroll processing company ADP found that job-hoppers often see higher wage bumps after working two years for an employer and then shuffling off to a new job. Peterson picked up new skills and experiences that made her more marketable to other employers. What they do: Provides consulting services to government agencies on compliance, data flow, systems engineering, and technical training. Why we like them: At Jovian Concepts, leadership looked to employees to shape the mission and company culture. The result is a laid-back environment that prioritizes its employees as much as its customers. Based in Columbia, it has employees in Colorado, Florida, Georgia, and Japan. What they do: Nonprofit that arranges organ, tissue, and eye donations to local hospitals and provides support to donor families. Why we like them: The foundation recently underwent a large expansion to its headquarters, adding a second floor with a large training room and state-of-the-art simulation lab, conference rooms, and an on-site gym. With more than 3,400 people in Maryland currently waiting for a life-saving transplant, the LLF team is passionate about educating the community about the power of organ donation. Best benefits: A favorite employee benefit is paid community service hours for volunteering. Other perks include flexible work schedules, three weeks of vacation at time of hire, casual office attire, two free car washes each year, dry cleaning on-site, an annual wellness day with massages and a healthy lunch, an on-site gym, $5,000 toward continuing education, and four weeks of paid parental leave. Employee appreciation events include crab feasts and Orioles games. Decided to resign and start a new gig? There are important “Dos” and “Don’ts” to consider to avoid burning bridges, damaging your reputation, and even exposing you to liability. To get the list, we went to Stephanie Baron, a principal in the Baltimore office of Miles & Stockbridge who advises businesses in all aspects of labor and employment law. Be honest with your employer about where you are going to work next. It will come out eventually, and if you are dishonest, it can damage your reputation. Ask for an exit interview and share honest feedback about your experience with the company. While there’s no need to air every grievance or settle every score, if there are things you believe the company could do better, now’s the time to share it. Ensure that your current employer has your updated contact information, including your address, so that you receive any tax forms or other information from the company after you leave. 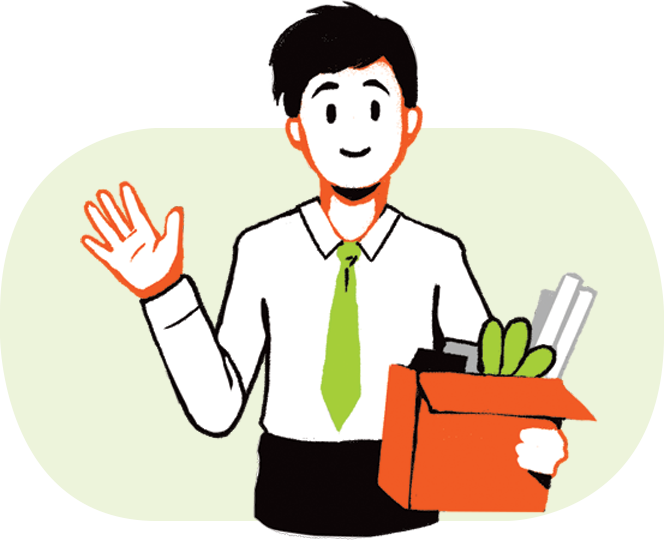 Work throughout your entire notice period and assist as requested in transitioning your work to other colleagues. Don’t leave with no notice. Be careful not to remove any property, documents, or information belonging to the company or share anything confidential or proprietary with your new employer—just because you created it does not make it yours. If you have personal information, photographs, or other materials on your company-assigned computer, iPad, or cell phone, advise the company and let them know that you would like to download and remove it from their device. If you do this without letting the company know, they may think you are stealing their materials. Don’t delete your email or destroy documents or other company property. While some clean-up is expected, and likely appreciated, your work communications belong to the company and could be helpful after you are gone. It’s a bad idea to bad-mouth your prior employer to your new colleagues. Many industries are small, and word gets around. Plus, you never know: The grass is not always greener—you may decide to return. What they do: Caramel and dessert manufacturer. Why we like them: Born out of a delicious family recipe and a desire to help put an end to cancer, Mouth Party Caramel gives a portion of its proceeds from products sold in more than 120 locations to cancer-related initiatives and organizations. After enduring two flash floods that wiped out its entire inventory, the local dessert manufacturer moved from its location in Meadow Mill to an 8,000-square-foot warehouse in Timonium, now home to a retail store. Helping bring local manufacturing jobs back to Baltimore, the new location will also allow Mouth Party to continue to grow in the years ahead. Best benefits: Mouth Party’s new headquarters is far from the stark-white industrial kitchen you may expect—its production areas feature pink walls and a lively atmosphere, while its administrative office is an open-concept design to inspire collaboration. Leadership has embraced the “made in Baltimore” ethos and involves the company in local causes and events, while employees say their opinions and ideas are valued when it comes to shaping the company’s future. In addition to generous benefits packages for salaried employees and well-above minimum-wage compensation for hourly workers, there’s an unlimited supply of free caramels for snacking. What they do: Nonprofit providing essential daily services to individuals with life-threatening illnesses. Why we like them: A nonprofit dedicated to caring for individuals and families living with HIV/AIDS, cancer, and other life-threatening illnesses by providing meals, medical nutrition therapy, and other services, Moveable Feast recently completed a $1.2-million renovation of its production kitchen, volunteer space, and offices. In addition to its headquarters in East Baltimore, a Federalsburg-based distribution site allows the nonprofit to serve Eastern Shore communities. Leadership has committed to providing a $15 minimum wage to hourly employees by 2020. Best benefits: The organization pays three-quarters of health insurance premiums and contributes $2,000 toward the deductible. There’s also a 3 percent match on 403b retirement account contributions, reimbursements for professional licenses and certifications, free freshly laundered uniforms each week for transportation staff, volunteer time off each year, and financial services through MECU. Dating to 1914, the office building combines industrial charm with modern amenities, with the addition of a new break room, lobby, and secure entrance for employees. In addition to knowing they are making a real difference in the quality of life of in-need Marylanders, employees say the trust leadership puts in them is the biggest benefit of working at Moveable Feast. “Empowering me means way more than free coffee,” said one team member. What they do: Acupuncture and other alternative medicine treatments. Why we like them: From its humble origins in a single treatment room on The Avenue in Hampden, Mend Acupuncture has developed a large client base, moved to a new headquarters in Remington in 2016, and opened a second treatment center in Lutherville in 2017. Last fall, its largest treatment center opened in Pikesville’s Quarry Lake development with a Chinese herb pharmacy and additional treatments including massage and cupping. Best benefits: To provide the flexibility and stability she sought as a self-employed acupuncturist, owner Sarah O’Leary offers two salaried options to her staff: 26 or 35 hours per week. There’s a focus on continuing education here, too, with a “grad school” feeling surrounding the employees’ ongoing study of Chinese medicine. Mend’s three locations are designed with comfort, ease, and wellness in mind—with touches such as chunky knit blankets, brass accents, and Scandinavian-style, mid-century modern furniture that make the spaces look more like a cozy, modern home than a doctor’s office. What they do: Global investment manager. Why we like them: Since its founding by Thomas Rowe Price Jr. in downtown Baltimore in the 1930s, T. Rowe Price has valued diversity and inclusion—women have served in critical roles from the start, and today they make up 44 percent of the firm’s global workforce. Employees value the culture here, which they say is uniquely Baltimore, decidedly non-Wall Street, and stands in stark contrast to other financial firms. 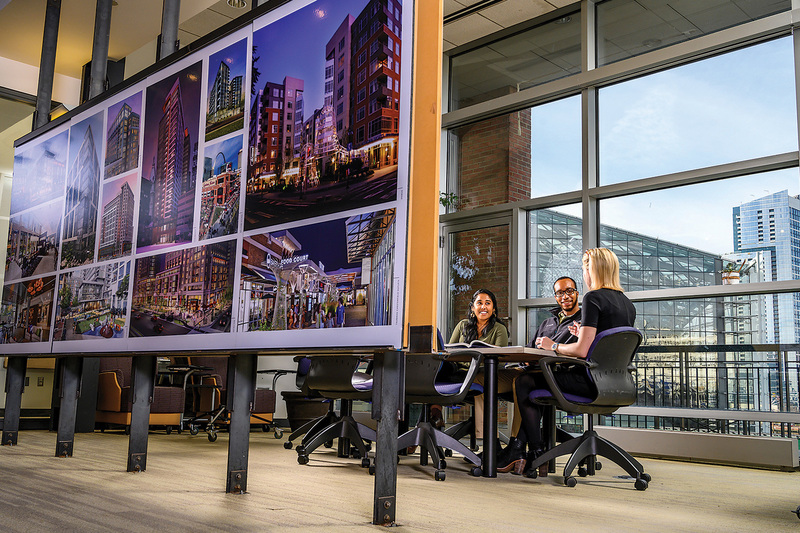 Today, roughly 7,000 employees work in 20 cities around the globe, with a headquarters in the Inner Harbor and a second office in Owings Mills. Best benefits: T. Rowe’s offices are open, modern, and designed to enhance collaboration, with on-site gyms, massage therapy, and free coffee. The Owings Mills campus has walking trails, a basketball court, and a community garden. 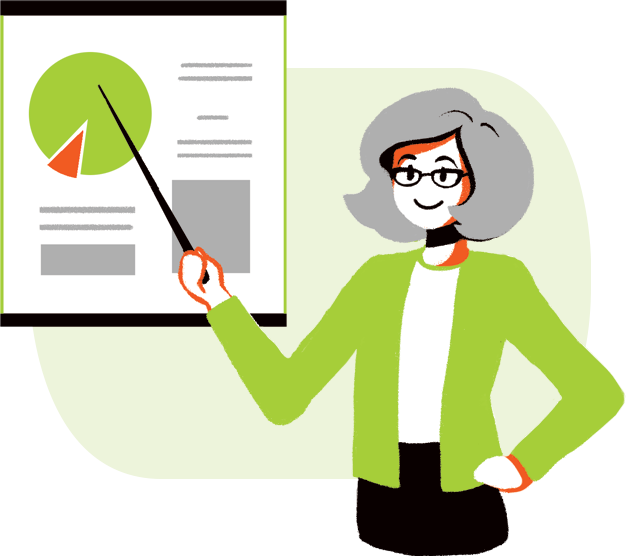 With a focus on investing, the firm contributes up to 12.5 percent to 401k plans and offers tuition assistance, PTO for volunteering and dollar-for-dollar donation matching, reimbursement for gym memberships, and discounts on healthy food in the cafeterias. And last year, the company enhanced its parental leave policy. Most of all, employees say they appreciate the inclusive environment and that leadership is invested in their personal and professional growth, prioritizing hiring from within. What they do: Design, IT, and cyber-security services. Why we like them: Think|Stack (formerly Horsetail Technologies) has been growing along with Baltimore’s tech hub since it was founded in 2011. Early on, the company partnered with Year Up, a nonprofit that matched college students with internships at companies throughout the city. Many of those interns have become Think|Stack employees. With the motto “people before tech,” leadership emphasizes a family atmosphere and keeping employees happy, energized, and inspired. Best benefits: Its Harbor Point offices feature floor-to-ceiling windows revealing a view of the Domino Sugars factory and Under Armour headquarters across the Inner Harbor. A live web cam allows remote employees to experience the incredible sunrises and people-watching, too. Desks and walls with writable surfaces make a spontaneous brainstorming session easy, while plenty of toys around the office inspire the company’s “work hard, play hard” attitude. It’s not uncommon for a Nerf gun war to break out, and employees can blow off steam with Segways, hoverboards, corn hole, Oculus Rift, rowing machines, or just by kicking around a soccer ball. Unlimited PTO promotes wellness, while technology, tuition, and wellness stipends encourage professional and personal development. And Think|Stack helps employees give back by matching personal donations. Three years ago, David Beaudouin started a new career as managing editor of content strategy for the University of Maryland School of Medicine’s publications. He was 65 years old then, only a year away from his full retirement-benefit age. Beaudouin is not alone: He’s part of a trend of people continuing to work in their later years instead of choosing retirement. Like Beaudouin, nearly 40 percent of people age 55 and older were either working or looking for a job in the past year, according to the U.S. Bureau of Labor Statistics. And that trend is increasing: By 2024, older workers are projected to dominate the labor force. This increase should come as no surprise, since baby boomers have longer life expectancies than previous generations and face more challenging financial hurdles. For instance, the BLS reported that changes to employee retirement plans—or their elimination—and raising of the full retirement age for Social Security benefits are pushing older folks to keep working. And the last market crash in 2008 and subsequent deep recession derailed a lot of retirement investments. Lucky for them, more companies across all industries are hiring workers well into their golden years. JR Keller, an assistant professor at Cornell University who studies hiring processes and workplaces, explains that, in the past, older workers tended to be overlooked. But with unemployment rates at an all-time low across the country, older workers are now in demand to fill positions, particularly those that involve customer interaction. “One of the big benefits of hiring older workers is that they have more life experience and tend to have higher emotional intelligence,” Keller says. He adds that some employers say individuals over 55 are often more committed and reliable in their jobs than younger workers. And they often like staying in the game. “They actually enjoy being part of the workforce and having something to do where they feel like they’re contributing to their employer and society,” Keller says. That’s certainly true for Beaudouin. Besides earning a steady income, working at the School of Medicine allows him to communicate with other people, whether it be designers or practitioners, and craft content on new discoveries and research. Despite having previously worked as a communications consultant in technology, biosciences, and medicine, he also says he finds joy in learning and writing about complex scientific concepts such as total face transplants and artificial lungs. What they do: Dental health care. Why we like them: Led by Baltimore natives and husband-and-wife team Roham Rafat and Ashley Izadi, this cozy practice makes patients—and employees—comfortable with interior decor that looks more like something out of HGTV than a dental office. The founders look to the team before making major decisions and have reinvested in their employees by adding benefits each year over the past six years as the practice has grown. Last year, Valley Dental Health implemented a coaching program to benefit employees and this year will see the debut of a new bonus program. Best benefits: Free dental treatments for staff and immediate family, deep discounts for extended family, 401k matching, PTO and paid holidays, health insurance contributions, fun team-building and holiday outings (last year was a team ax-throwing party), on-site library of personal-development books and office book club, and flexibility in work schedules to accommodate family and other life events. What they do: Commercial property and casualty insurance provider. Why we like them: With a history dating back to the Mutual Fire Insurance Company of Carroll County in 1869, Westminster American Insurance today focuses on commercial real estate insurance for multi-dwelling and office buildings throughout the Mid-Atlantic. Growing 73 percent over the past three years, it landed on the Inc. 5000 list for the fourth year in a row. Best benefits: Employees enjoy working in the 10,000-square-foot office with its Art Deco-inspired lounge complete with a 21-foot, fully stocked marble bar and gas fireplace. Westminster American Insurance pays all monthly health care premiums and half the employee deductible, contributes 4.5 percent to a 401k, gives yearly bonuses and regular raises, and has an option for a compressed work schedule with every other Friday off. Beyond that, it offers one paid community service day annually, pays education reimbursement, and has a casual environment where jeans are the normal office attire.